Some Halloween costumes are just not complete without the hair and makeup. If you didn’t complete your Wednesday Addams costume with pigtail braids, would it be as cool? 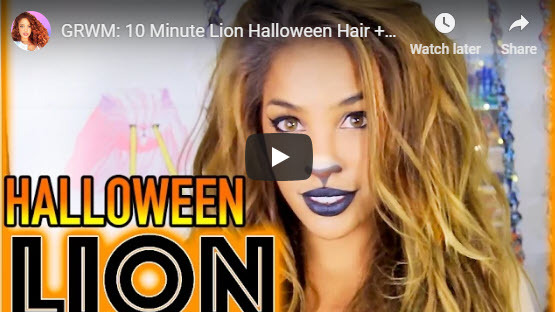 These are a few last-minute, hair and makeup Halloween looks! This popular villain costume is just not complete without smudgy pink and blue makeup and dip-dyed blonde pigtails! 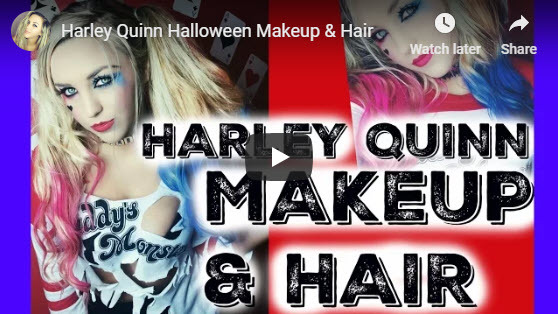 Megan Parken creates this Harley look in under five minutes! Animal makeup and costumes are always popular! This costume is completed by AndreasChoice in under five minutes and is complete with hair and makeup. Princess Jasmine would be unrecognizable without her beautiful bubble pony! Carli Bybel perfectly recreates Jasmine’s voluminous hair and gorgeous eyes. 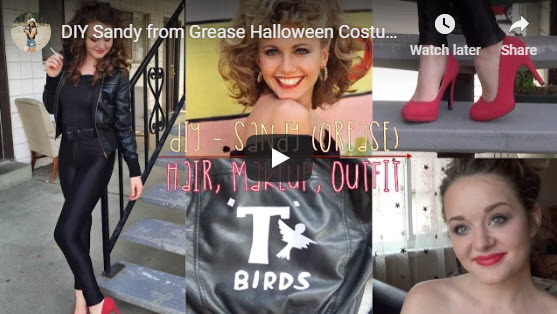 Bridgette Wuest throws us back with an adorable Sandy costume from Grease. Sandy’s hair and makeup was complete in under 10 minutes! She even shows you how to dress the part. Mermaids were all the rage this summer, so continue the trend into the Fall! Maxiel Beltre produces the perfect last-minute mermaid hair and makeup. Don’t worry, this doll is friendly! This cute rag doll costume from BeautyTakenIn was created from head to toe in under four minutes. Make sure to share if you were inspired by these hair and makeup tutorials! Are you interested in becoming a professional hair or makeup artist? Contact us or see the cosmetology and makeup artistry pages for more information.